A great resource for the homeschooling laws in each state is the Home School Legal Defence Association’s website. 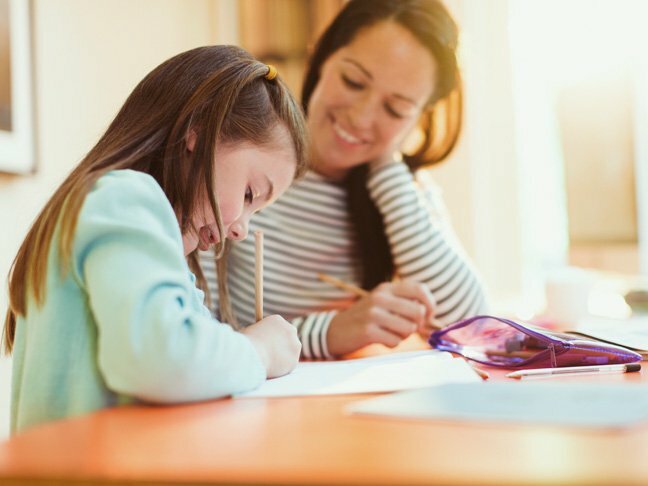 The state we live in, Michigan, has very few regulations around homeschooling, but that seems to be the exception when it comes to homeschooling laws. Many states require families to submit a portfolio of work at the end of the school year. Some have regular check-ins with education representatives and some mandate standardized testing. No matter where you live,, make sure you are familiar with the laws in your state. You don’t want to find out too late that you’ve dropped the ball on requirements. You can ignore your laundry and that two foot pile of dishes while you teach your kids how to multiply, however, not knowing the laws in your state can seriously affect your family’s welfare. Finding the best homeschool curriculum for your family can be one of the most overwhelming decisions you will make in your homeschooling journey. There are so many options out there and when you’re taking your child’s education into your own hands the responsibility of getting it “right” can be enough to send some parents back to the closest primary school. The best thing you can do when choosing homeschool curriculum is to spend some time investigating how your child learns. Are they hands-on learners? Do they need information read aloud to process it? Does a workbook and pencil allow them to cruise ahead in their studies independently? For Language Arts we really like the Logic of English series. All About Spelling and All about Reading are favourites of almost every homeschooling family we know. As a total book-lover, my favourite part of Language Arts has been incorporating a whole lot of hanging out on the couch reading chapter books and writing stories together. There are so many ways to find homeschooling support, but the most valuable tool for me has been Facebook. As with every other topic, there are countless Facebook groups devoted to homeschooling. You can find everything from like-minded homeschoolers to curriculum sales to fun excursions in your area by joining groups that appeal to you. Another great option for support is homeschool co-ops. Co-ops are becoming more and more popular in the homeschooling world as a way to form a sense of community with your fellow homeschooling families and to diversify your children’s learning. My favourite benefit of co-ops is meeting other mums nearby who homeschool and finding that two minutes to talk about the fact that I’m not the only one whose kitchen looks like a perpetual science experiment.